During the hour long search at the Uzbek border the guard felt the need to make a little small talk with me. 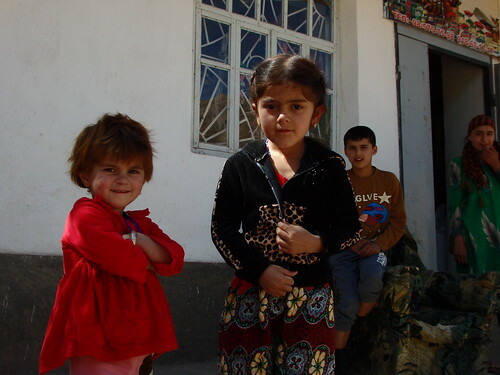 ‘Did you hear about the killings in Dushanbe a few days ago’. ‘Err, no?’. 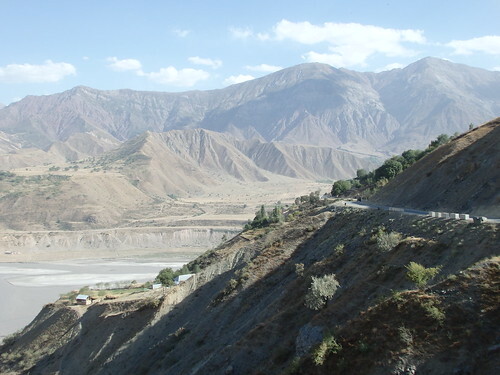 ‘Yes – many terrorists in Tajikistan’. I thought she was just gloating about how much better Uzbekistan is (those countries aren’t the best of friends) but it was true – more than 20 people died in shootings near the capital the other day. As long as no cyclists are getting fired at, I’m not too worried. A few years ago I was looking at a world atlas wondering what strange countries I could find. 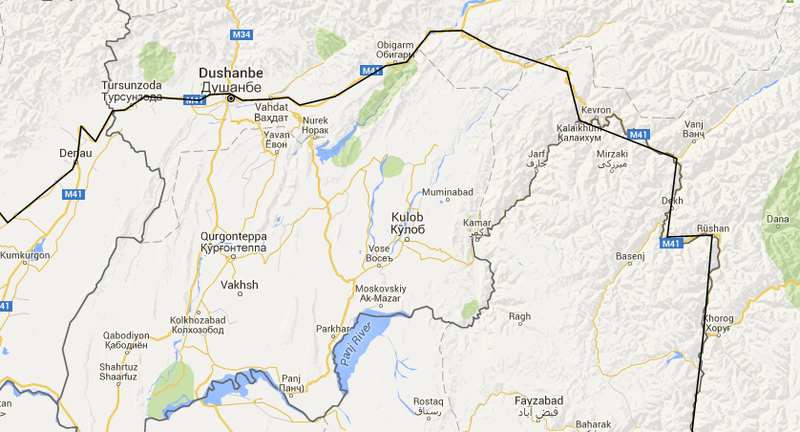 I started concentrating on Central Asia and spotted Tajikistan. I’d never heard of it before so I typed it into YouTube and watched a documentary called ‘Holidays in the Danger Zone’, which made it look great (to me at least). 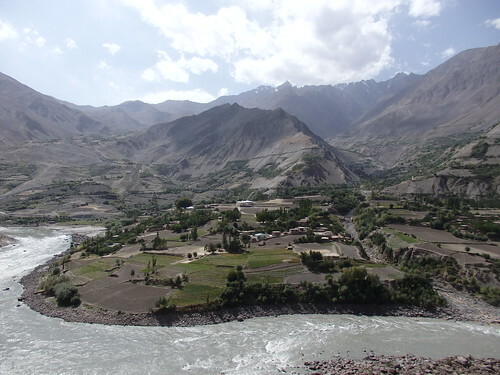 Beautiful mountains, women in colourful dresses and everyone’s smiles full of gold teeth. It looked crazy. 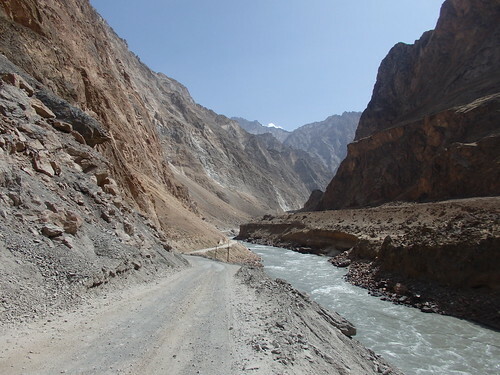 I checked out the countries WikiTravel page and learnt about this road called the Pamir Highway, which is the second highest altitude international highway in the world. I typed it into Google Images and was blown away – it was incredible (as you’ll soon see). 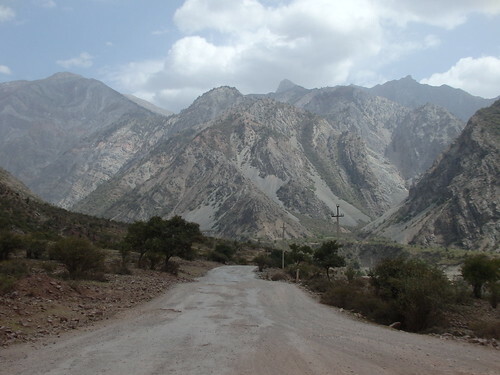 Pretty much there and then I decided that one day I would travel this famous road from Tajikistan into Kyrgyzstan. 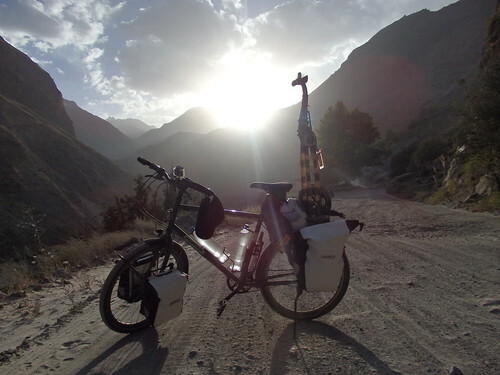 When I first started toying with the idea of cycling to Australia it only made sense to travel to Central Asia and cross the road. Ever since I left London (with very little resembling a plan) this was the only road I always knew I wanted to cycle. 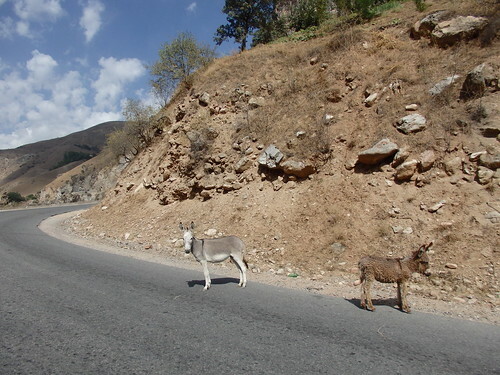 So to be in Tajikistan and on the verge of starting this highway? Goosebumps. 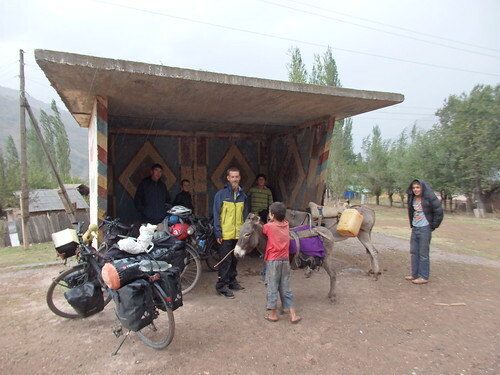 I crossed the border with Bertand (French) and Vincent (Dutch) – the guys I’d met the day before in Uzbekistan. 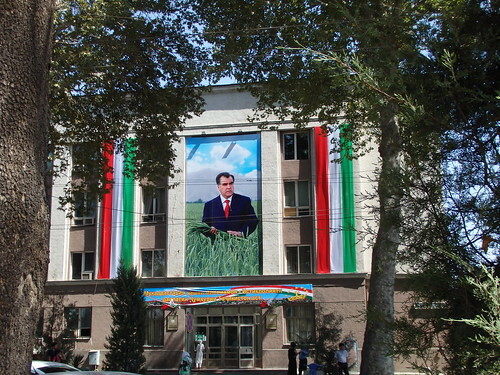 We were greeted by a huge billboard of the Tajik President Rahmon (slightly pixelated of course, blown up to a size way beyond the original photo). 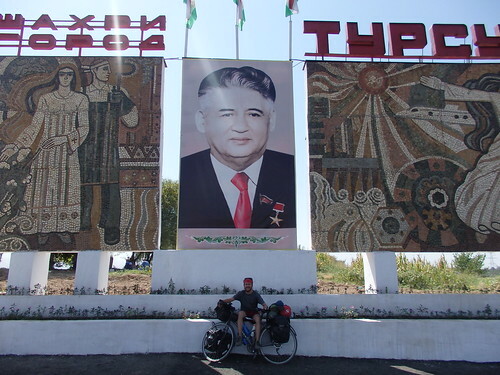 As we followed the road into Dushanbe we were met by numerous photos of Mr Rahmon superimposed onto different backgrounds. You know you’re in a fun country when your president is looming over all the street corners on awkward montages. It reminded me of a great Tumblr blog from a few years ago called Kim Job Ill Looking At Things. 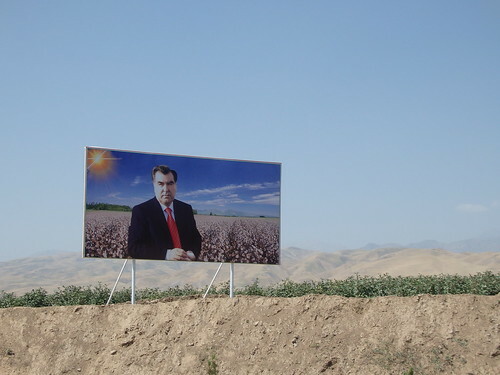 President Rahmon just chilling in a cotton field, glowing in a very natural looking sun. 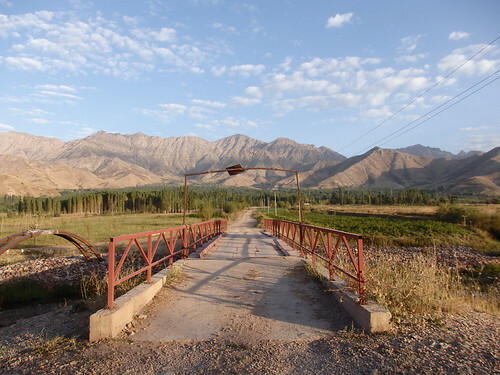 There was one thing I needed to get in Tajikistan’s capital, Dushanbe – my permit to travel the Gorno-Badakhshan Autonomous Region (GBAO) through which I’d be cycling. 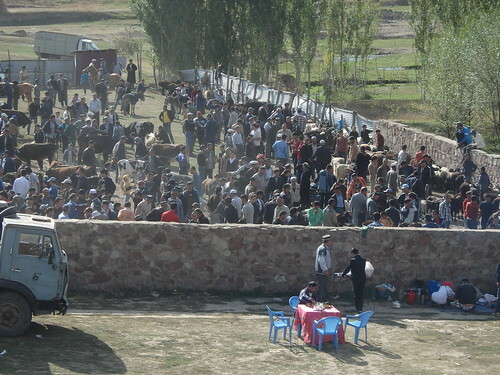 The first day I wanted to apply wasn’t doable as the Tajiks were celebrating their Independence Day. So the following morning I went to the registration office to get this little slip of paper. There was a fat guy in camo clothes working inside. He was a miserable fella, and an unhelpful one at that. I’ve come to the sweeping that if you’re applying for a job in any ex-Soviet country you need to include ‘being miserable’ and ‘unhelpful’ under the personal interests section of your CV if you want to have any chance of being considered for the job. I eventually found it and returned, hoping to get my permit the same day. No chance of that. 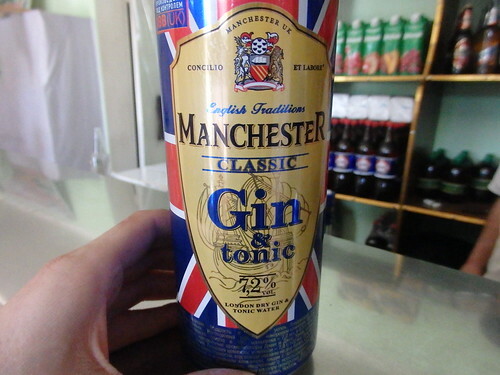 ‘Tomorrow come’. ‘What time?’ ‘2pm.’ Any chance I can come a bit earlier? I was hoping to leave tomorrow?’ ‘Njet.’ And that was that. So I ended up staying in Dushanbe a couple of days longer than planned but that was OK as I could crash at a fabled Warmshowers place run by a French expat. I’d heard about her cyclist hang out long ago – it must be one of the most famous Warmshowers spots I’ve passed. 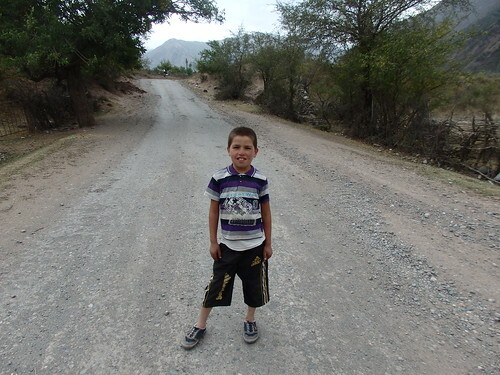 The other being the chap in Marrand in Iran, who has local truck drivers call him whenever a cyclist crosses the border and waits for them to invite to his home. I took the mountain road, though, and missed his place. 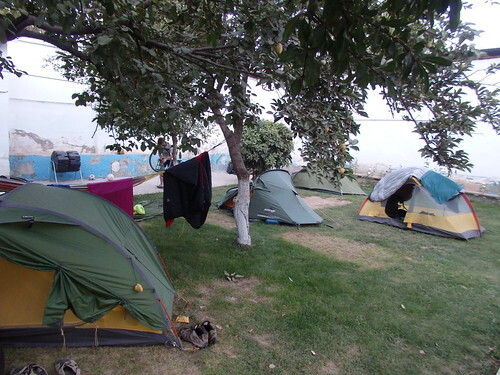 This spot was real haven in Dushanbe – a beautiful garden where we could pitch our tents in the shade of fruit trees. 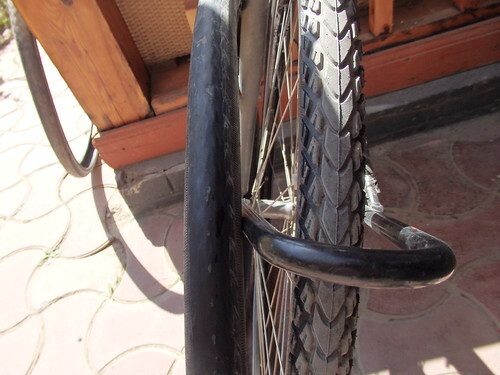 Finally collected the new tyres I needed so badly. You can see the green inner lining on my worn ones in this picture and there’s not a chance I’d get over the mountains on them. Thanks to a certain Belgian and his Dad (thank you guys!) I have some new Schwalbe Mondials for my next chapter. Hurrah! It was an odd city. I couldn’t help but notice all the traffic police lining the streets, constantly pulling cars over. Corruption is a big problem here. Apparently the police stop your car for any old reason (for example: driving a ‘dirty’ car is illegal in Dushanbe). Regardless of the problem you just hand them a note and they let you drive on. I could probably do a whole blog of Mr. President on funny posters but I’ll leave it at this one from the centre of Dushanbe. I was lucky enough to experience these dodgy cops myself. 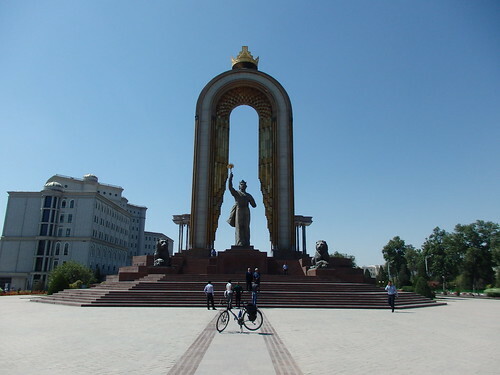 I cycled past one of the few ‘sights’ in town – a big monument of Amir Ismail Samani and stopped to take a picture. Very quickly a policeman appeared who came down asking to see my passport. He had a flick through and then looked up and said ‘visa OK’. Well obviously, I thought, how else would I be here? Then he told me to come over with him to where a few of his colleagues were and they started rubbing there fingers together and asking for money! ‘Dengi dengi, pivo’, which I assumed meant they wanted money for beers. I raised my eyes at them, curious to see if they could manage enough English to explain why I should be giving them any money – which of course they couldn’t. So I played dumb as usual as they tried as hard as they could to show me that I had to cough up, pointing to my bag and showing me money. I gave them a big smile, looked them in the eyes, said ‘piss off mate, there’s not a chance I’m giving you a penny. Have a lovely day’ knowing they wouldn’t understand a word of what I was saying, and walked off while they called after me ‘money, money, dengi!’. What kind of country is this!? Last time I checked police were supposed to make you feel safe and protected, not harass you for bribes! The photo I was taking when the police came over to say ‘hello’. I was a little nervous that the permit might not be issued. 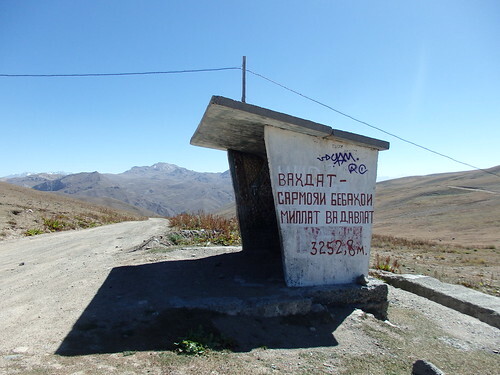 A couple of time in recent years they’ve stopped issuing them, most notably when there was fighting between the government forces and a local guerrilla group in Khorog. 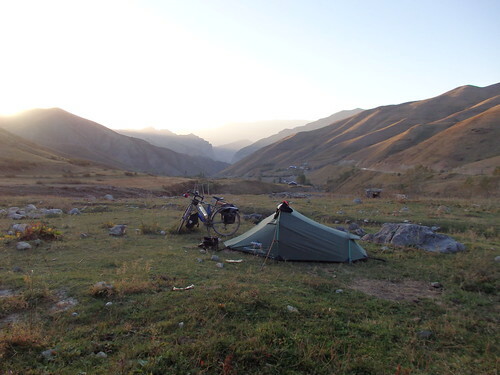 But, I did indeed get my paperwork sorted (albeit with my name spelt in a very ‘unique’ arrangement of letters) and headed off for the Pamir Highway with butterflies in my stomach. 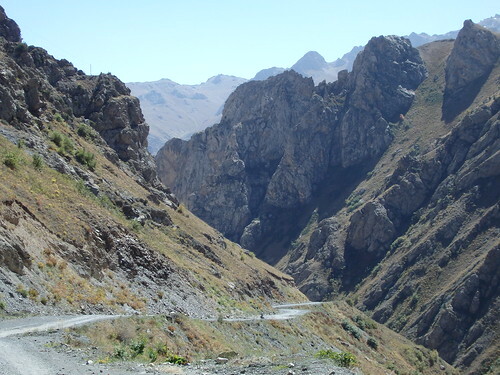 There are couple of roads to choose between from Dushanbe. Most traffic takes the southern road and so most cyclists take the northern road instead. Slowly we headed into the mountains. The deeper we got, the more dramatic the roads became. Why do baby donkeys always look so awful? This one looked like it had been dragged through a hedge in the morning. Plov, glorious plov. Always the same for lunch. There was hardly any traffic at all – it was perfect. The only intrusion to the silence was the shepherds passing with their animals or the annoyingly frequent military checkpoints. I kept my passport in my handlebar bag because I had to show the army guys my passport every day. Some of them were baby-faced soldiers who looked like they were loving life despite being stationed in the middle of nowhere, but others carried dark stubble around their golden mouths, full camo gear with hoods up (in the burning sun) and AK-47s slung over their shoulders with amazingly makeshift looking wooden buts. I started helping a local kid pump up his flat, but then decided that was too tiring so took a picture of him doing the hard work instead. The local kids were perhaps the funnest part. They’d all come running out screaming ‘hello!’, ‘how are you?’ at the tops of their voices. Campsite at end of day two. Nowhere in the world I’d rather be! 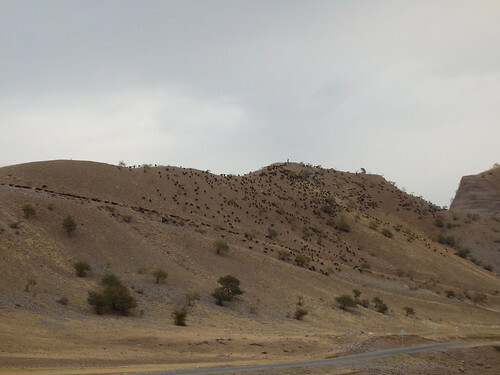 In the morning there were a zillion sheep descending the hillside towards us. Reminded me of the big battle at the end of Lord of the Rings – where different armies keep on charging down the side of the mountains to ensure the fight and movie could never end within a reasonable time frame. If you’ve been following this blog you’ll know I like taking photos of football pitches in scenic spots. Here’s a good’n! We got caught out in one nasty rain storm (the first I’ve have in many, many months) and took a break in a village bus stop. 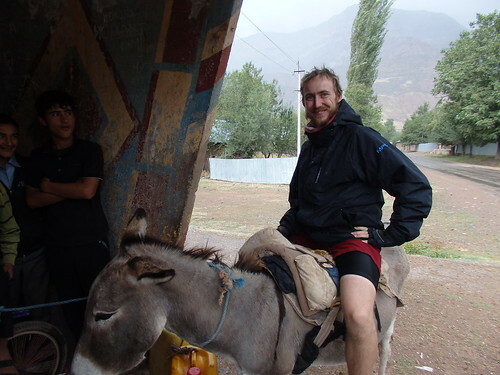 Some local kids were knocking around with a donkey and I was ‘given a go’ on it. The road continued to be crap. I tried to be ‘zen’ but sometimes I’d really had enough of my bones being rattled all day long. And it’s also a wet one at times! 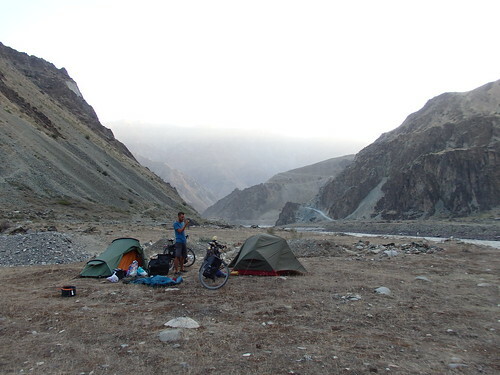 After a few days we reached our first big pass at over 3,000m. It was a hard climb but soon I was the highest I’d ever been in my life. Made it! 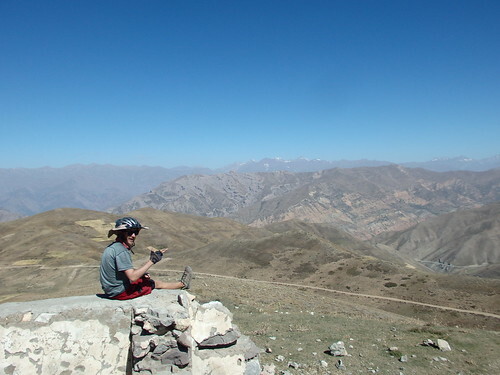 My first mountain pass over 3,000m conquered! 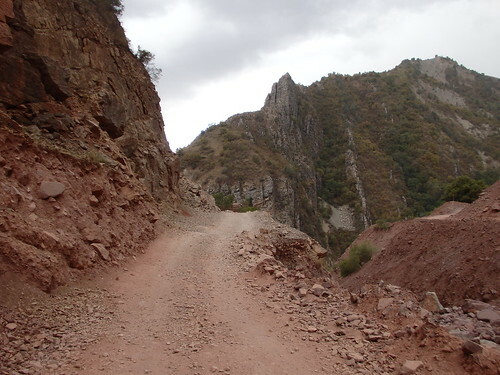 The descent was crazy – the road following a deep gorge where huge cliffs loomed over us. One slip off the edge of that road and game over! 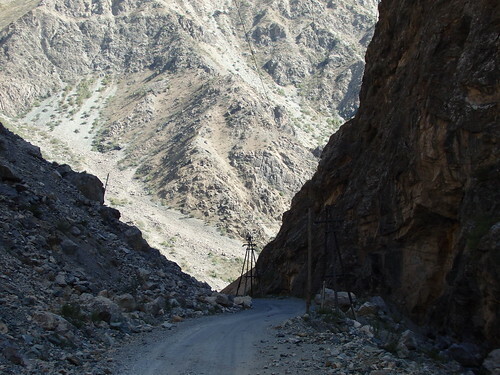 At the bottom we rejoined the main M41 road, the ‘proper’ Pamir Highway and headed south towards Khorog. 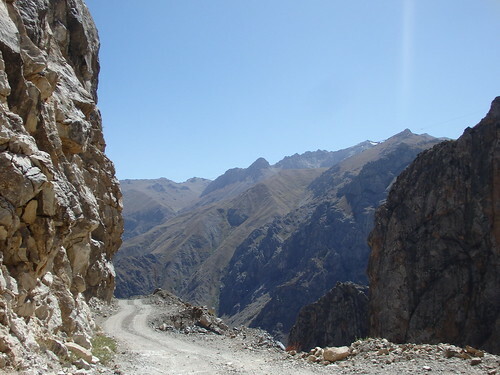 I love a good descent but on this type of road? It’s as slow as going up. 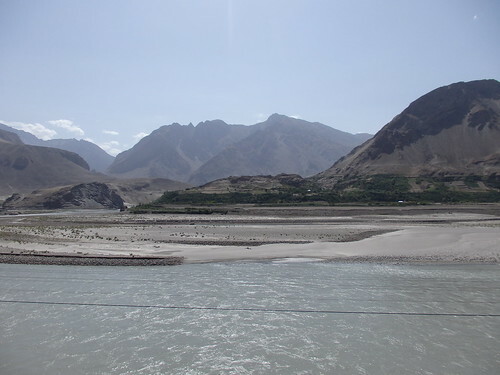 More excitingly, we’d finally reached the river Panj which forms the natural border divide between Tajikistan and Afghanistan. 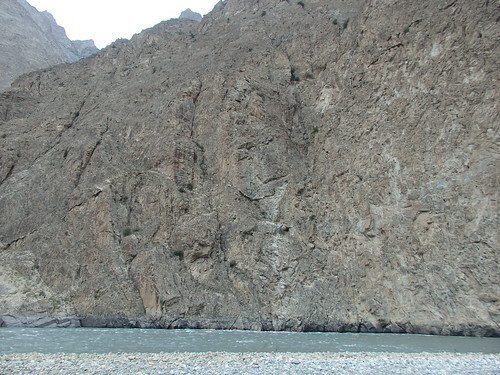 Seeing the steep cliffs of Afghanistan hanging over the river just a stone’s throw away was a strange sensation. 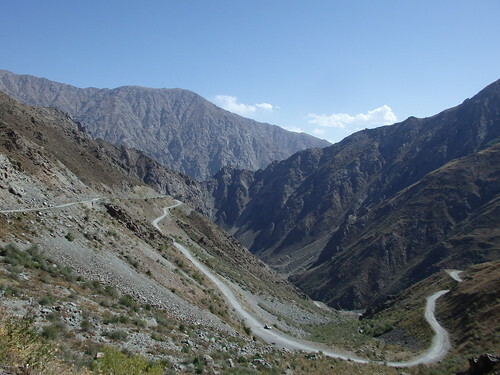 I felt like I knew loads about Afghanistan, but actually I knew as little about the country as I did about Tajikistan. I was 9 when the Twin Towers were destroyed in the 9/11 attacks and so I’ve spent most of my life with Afghanistan constantly on the news for all the wrong reasons thanks to this Taliban bunch. To be so close to a country with such a reputation… a strange but extremely exciting feeling. 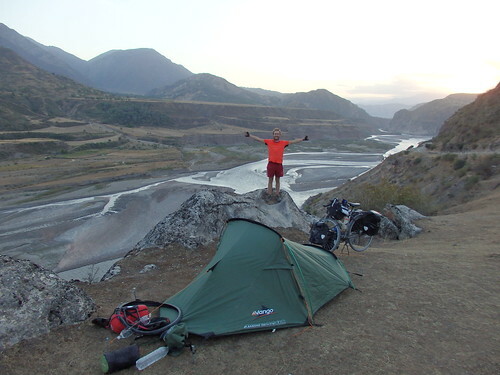 We camped the first night just beside the river. I’d been warned against camping river side of the road (apparently the border patrols don’t like it one bit) but we got caught out in horrific winds and there was no where else to pitch. 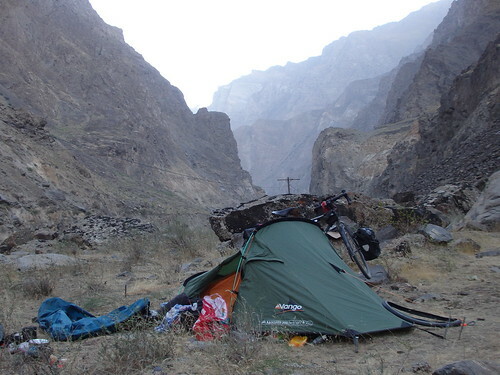 Waking up, opening the tent door and seeing the Afghan mountains looming over you? Crazy. 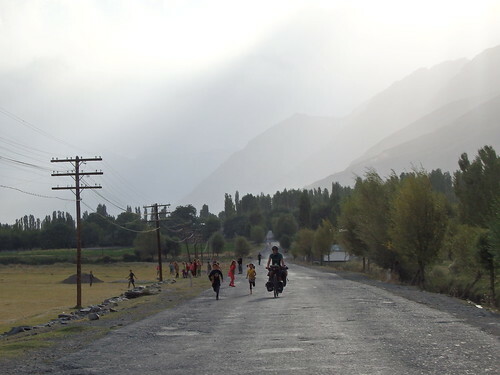 ‘Bang!’ As we started cycling a few loud explosions echoed across the valley, most definitely coming from Afghanistan. 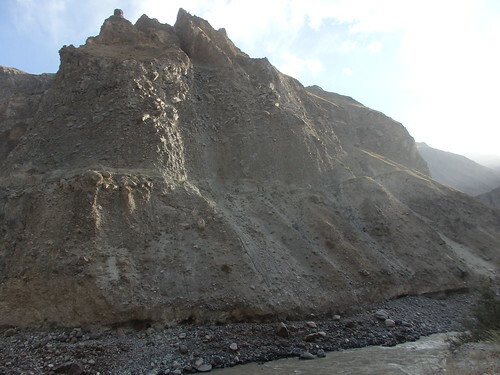 But the cause was innocent, fortunately – the Afghans were blowing up bits of the mountain trying to build a new road. 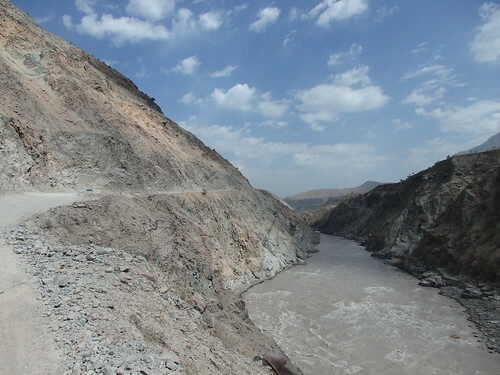 They must be super jealous of the Russian built road on the Tajik side. It’s a crap road, but at least it’s something. 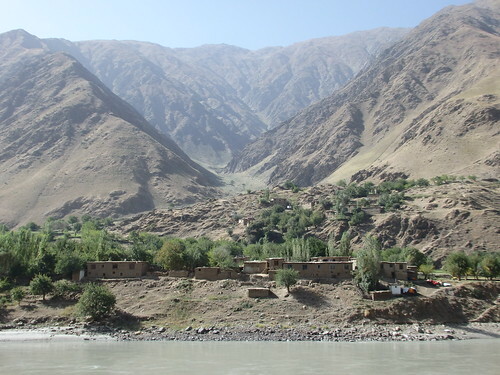 A very lonely Afghan village house – completely disconnected from anything neighboring. Vincent’s giraffe mascot, he’s been carrying it since Slovakia. Dutch people are never normal, are they? 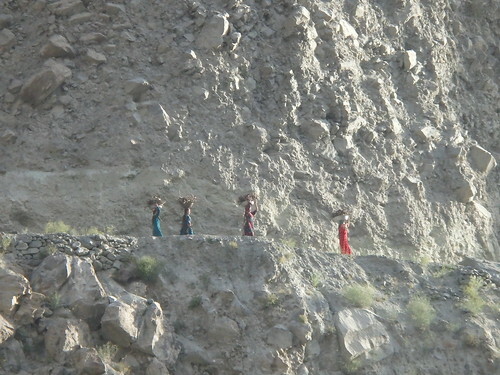 We spotted some ladies walking along a precarious path cut into the cliff across the river. They had huge bowls on their head and I really wanted to have a closer look. 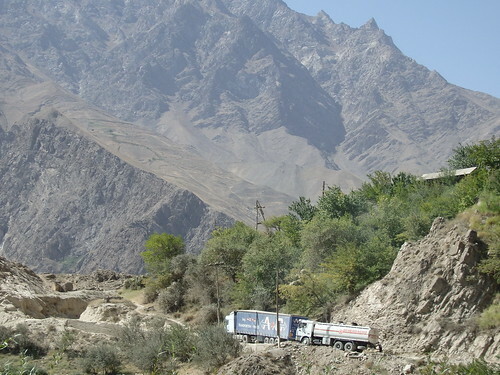 It was at this point that I discovered the x24 ‘super zoom’ on my camera, which suddenly became a regular view point of Afghanistan. The path went on for miles without passing a village, I couldn’t believe how far they were walking but after a while we spotted more women with the same bowls down by the river. 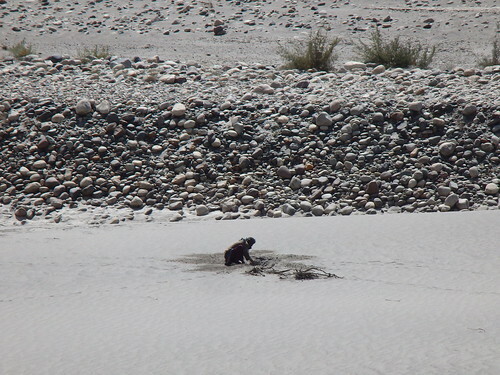 Thanks to my new found zoom, I could see they were collecting sticks for fire that had gotten caught on the shore-line rocks. In the villages there are only a handful of trees around so you’d probably do your best to avoid burning them! 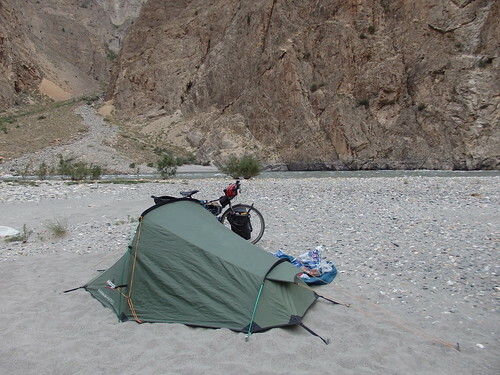 One night we camped on a sand bank between steep cliffs either side of the river. As I said before, we were trying to avoid camping so close to the river as the frequent border controls might give us trouble. But on this occasion we took the risk – the spot was just too good. As we were having breakfast in the morning Vincent pointed up at the the cliffs across the river. There was a path cut into them! 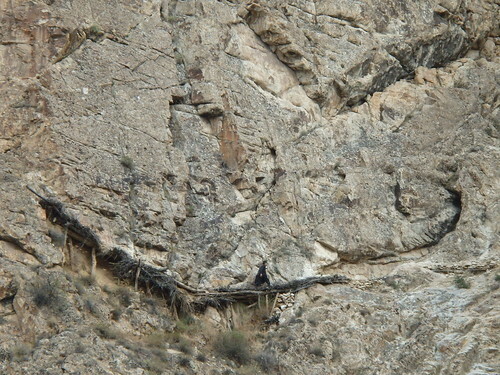 I whipped out the super zoom again and sure enough, laid out with a few branches and a slight indent into the rocks there was indeed a trail. 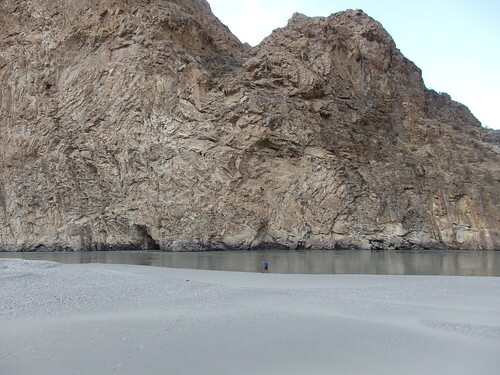 Can you make out the dark diagonal line that cuts across the cliff from bottom left to top right? That’s the path connecting villages! I was certain that no one would ever cross it – it looked impossible. 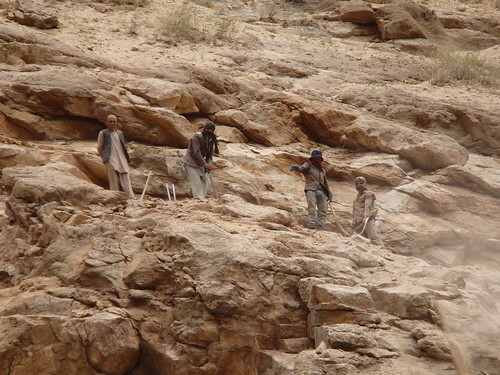 But, lo and behold, as we were packing up our tents we spotted a few people heading over the cliffs. Insane. One slip and you’re dead meat. 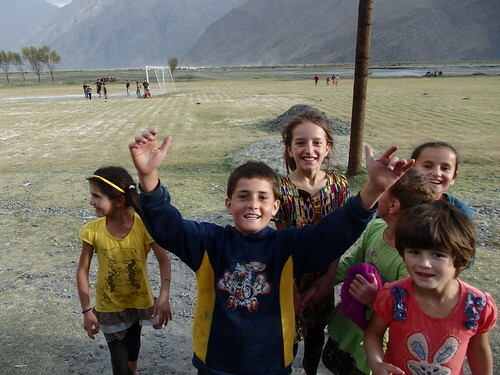 These Afghans are a brave bunch. I love this zoom. In another place we spotted a guy digging a huge whole miles from anywhere… He was most certainly up to no good. 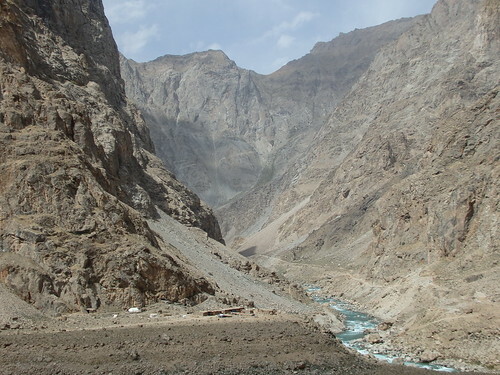 The landscapes of Tajikistan and Afghanistan looked pretty much the same on either side of the river. 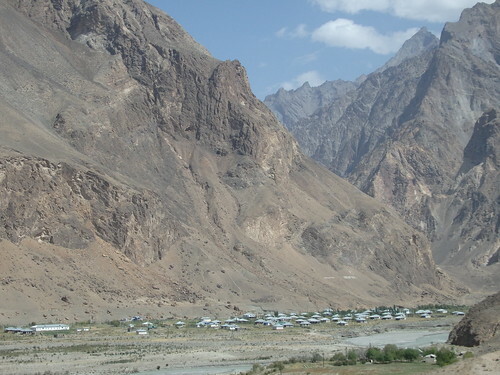 Sometimes there was a green village on the Tajik side but sheer cliffs lining the river Panj on the other side, sometimes vice versa. 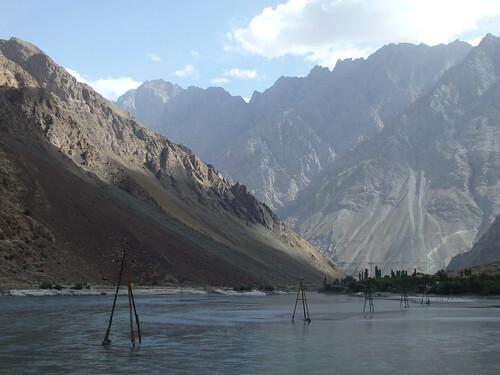 The villages, on the other hand, were often quite contrasting – Middle Eastern mud huts across the water and symmetrical Central Asian buildings on the other. 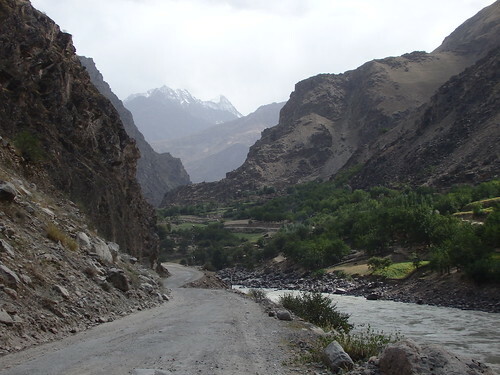 Finally we reached Khorog – I was exhausted. 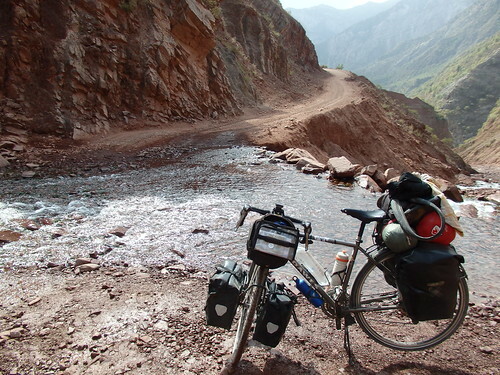 It had been tough week on some of the worst roads I’ve ever cycled. Most importantly I was happy to find a bed after a fortnight of sleeping in my tent every night. Deserved I think! Khorog was a funny place. Electricity was clearly a bit sporadic and at night the whole town was pitch black. 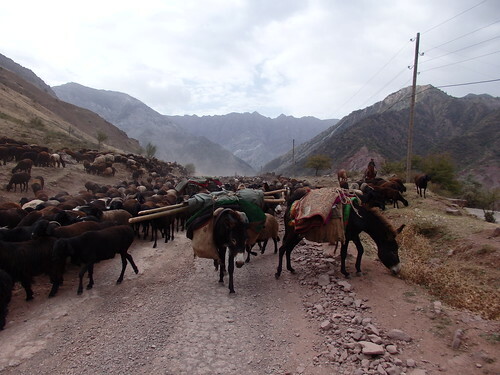 Once the sun came up traffic police lined the streets just as they had in Dushanbe. At one T-junction there were no less than 5 police insuring that traffic flowed in an ordered system (despite the fact that they had traffic lights up). Did I say ordered? Let me re-phrase… Ensuring that drivers didn’t crash every 5 minutes. Is it that hard to navigate a T-junction with traffic lights up? Apparently so. 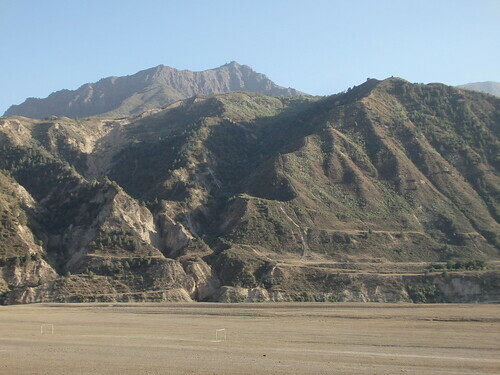 I had a day off in Khorog to catch my breath before the mountains. But more on that next time!